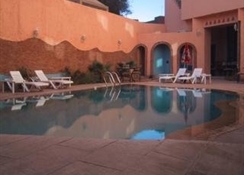 The great value Hicham Hotel can be found in the vibrant city of Marrakech in Morocco. The three star hotel can be found right in the city centre and the Gueliz neighbourhood in particular. The hotel can be found a short walk from the nearby train station and is the perfect place for those travelling on a budget to come and stay. 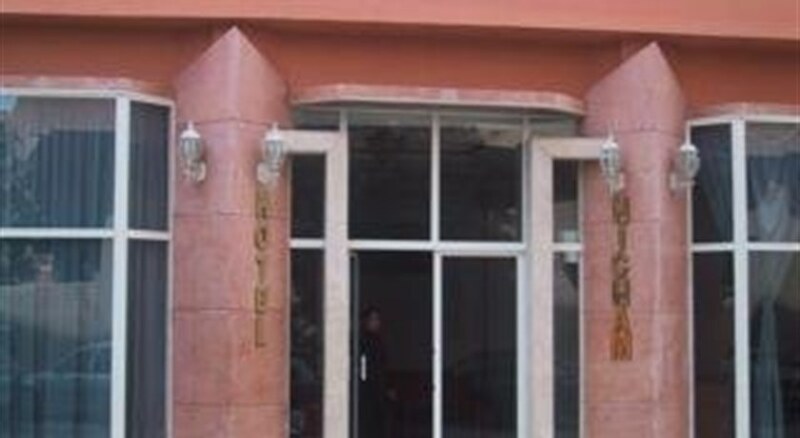 The hotel offers clean and basic rooms that are great to relax, unwind and escape the hustle and bustle of the wonderful city of Marrakech.The hotel can be found close to the Theatre Royal and the Palas des Congres as well as the Majorelle garden and Djeemaa el Fna which are well worth a visit. The hotel has many well-catered rooms to choose from, all of which come with air conditioning, en suite bathrooms and views of the swimming pool. Each room has an en suite bathroom, television and ironing boards.Guests can make the most of the in hotel restaurant for breakfast, lunch and dinner as well as the stylish bar and lunge where you can relax and unwind after a long day soaking up the sights and smells of Marrakech. The hotel also features handy wireless Internet and a coffee shop where you can catch up with loved ones over the Internet. 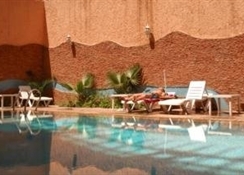 The hotel also has a wonderful swimming pool where guests can relax and swim and enjoy the war weather of Morocco. The Hicham Hotel in Marrakech is the perfect choice for couples or groups on a low cost holiday to the vibrant and exciting city. The hotel has plenty of amenities and friendly multilingual staff that can help you organise excursions and gain useful travel tips. The hotel has a wonderful outdoor swimming pool for guests to enjoy and relax in. There is a wide sun terrace too where guests can relax and unwind after a long day soaking up the culture and excitement of the city. 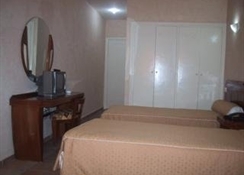 The Hotel offers guests the choice of a range of rooms for their holiday, each comes fully equipped with; air conditioning, comfortable beds, en suite bathroom, air conditioning, telephone, Internet, bathtub, TV and room service. Certain amenities may be payable locally. 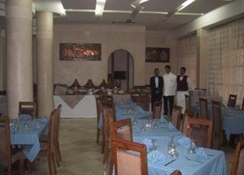 The Hicham hotel has a wonderful restaurant that is open to guests at the hotel and the public. You can enjoy breakfast, lunch and dinner in local and international cuisines. There is also a bar and lounge where you can sip cocktails after a long day. 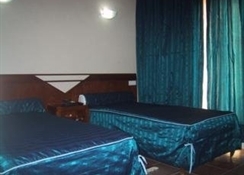 The Hotel is located right in the hustle and bustle of the city, making it perfect for those who want an easily accessible and friendly hotel. 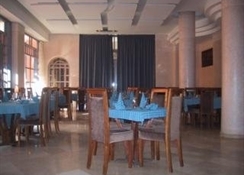 The hotel is in the Gueliz district of the city with plenty of nearby attractions and places of interest.